To get the best custom software, you need the best custom software development services. It sounds simple, but with such a broad market, many potential clients have trouble finding the services that will actually provide what they need. Excellent developers have several key traits that set them apart. These superior options will demonstrate exceptional communication habits and provide a variety of services to diverse clients. Developers should prove their reliability through engagement and a record of success. Most importantly, they will provide genuine custom software development services. In order to provide superior custom software, developers need to have excellent communication skills. They should, at the very least, respond rapidly to email and text messages, maintain a regular correspondence with clients, and handle their phones professionally. Excellent custom software developers should surpass these basic skills, though. They need the practical ability to interact frequently and directly with their clients. Ideally, developers meet with clients in person. This is why many of the best custom software developers are local. Having an office in the client’s region allows developers to arrange face-to-face meetings from the beginning of their working relationship through the conclusion of the custom software project. Without the advantage of proximity, collaboration and cooperation become vastly more challenging and expensive. This is why local custom software development services always provide superior communication. Not all developers offer integration. The best custom software development services go beyond basic development, however. They even go beyond integration for their own products. Excellent developers offer a number of different services that ought to cover development, maintenance, and integration. Integration has obvious uses, and no one will understand how potential acquisitions will work with your system better than the people who built it. Maintenance is important for the same reasons. Having a knowledgeable, local source of support is invaluable in times of crisis. Variety goes beyond types of service. An excellent developer should have experience working with many different industries. This flexibility is an essential criterion for determining a developer’s ability to understand new systems, work environments, and goals. 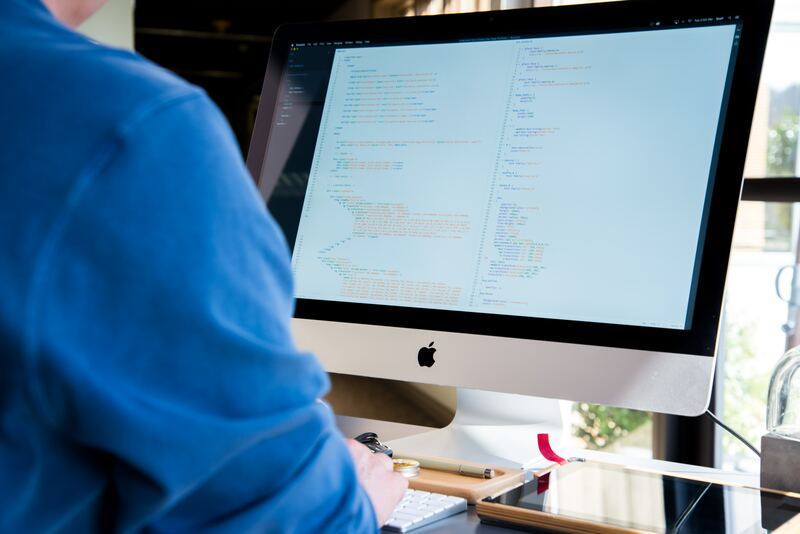 Custom software development services revolve around the client, and working with diverse clients proves developers are not limited to a single trick or system. When you need help, or you want an update, your developer should answer the call. Reliability goes beyond following laws and meeting deadlines. Custom software development is an intensely collaborative project, or at least it should be. That requires easy communication and a great deal of trust. The best developers demonstrate their reliability through engagement. Custom software developers shouldn’t just sit back and wait for your list of needs. The best developers look for areas that could be improved, ask questions, and use your ideas to spark more involved conversations. Since the best developers also follow collaborative practices, clients know what’s being done at each stage of development. However, by asking questions and looking for new opportunities, developers can take the project in surprising and improved directions. The best developers present the record of their success up front. It should appear on their promotional material, and it should include at least a few client names. This allows potential clients to do their own research before committing to a new developer. The names also provide concrete evidence of several of the qualities listed above. A variety of customers and services should be immediately clear. If possible, ask for the approximate dates of when developers worked with clients. You can often judge how well developers have maintained their skills over time, based on the number and prestige of recent and current clients. The best custom software is truly custom. From time to time, a developer will resell solutions created for a previous client that only loosely fit the needs of the current client. Even if these products do a better job than off the shelf options, they could still do better. If developers sell these products, they should clarify the difference between customized software and custom built software. Only one of these is unique to your business. While there is certainly nothing wrong with selling or buying customized software, it isn’t exactly the same product, and it may cost less than custom software development services. The best developers communicate directly, demonstrate their reliability, provide a range of services to diverse clients, and have the records to prove it. Custom software development services don’t usually come cheap, and they’re an investment that requires a lot of pre-screening. Developers balance technical talent with interpersonal skill. The best developers will give your business a boost to the next stage of growth, and they’ll be waiting in the wings should you need their services again. It’s a hard mix to find, but the results are always well worth the effort.